Prominent & Leading Manufacturer from Rajkot, we offer commercial reverse osmosis plant, water treatment reverse osmosis plant, industrial reverse osmosis plant, reverse osmosis plant, reverse osmosis systems and ss ro plant. We are a leading enterprise engaged in manufacturing and supplying a highly effective range of Commercial Reverse Osmosis Plant. The offered osmosis plant is used for treating water & makes it pure for drinking. This osmosis plant is developed by our competent professionals utilizing quality raw material and leading technology. Our clientele can avail this osmosis plant from us at affordable rates from us. 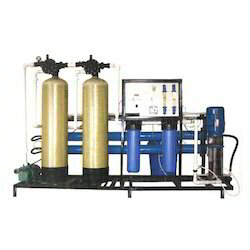 Our professionals are competent in manufacturing and supplying a broad range of Water Treatment Reverse Osmosis Plant. This osmosis plant is developed by finest material & help in reducing the negative impact on the environment. Offered osmosis plant is available in different stipulations to meet the needs of our patrons. Our offered range of osmosis plant is tested on numerous parameters of quality so as to dispatch a flawless range. We are an unparalleled name engaged in manufacturing and supplying a premium quality range of Industrial Reverse Osmosis Plant. Designed to meet the industrial and commercial applications, our offered osmosis plant is developed using superior grade materials keeping in mind defined industry norms. This osmosis plant uses filtration and reverses osmosis for treating water. Offered osmosis plant is well tested on diverse parameters to ensure flawlessness. 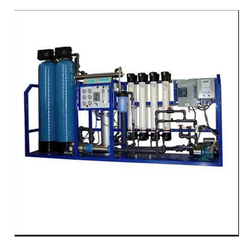 We excel in manufacturing and supplying a qualitative range of Reverse Osmosis Plant. These plants are widely demanded by a large number of clients owing to precision engineering, compact size, and high-performance. These plants are easy to install and ensures less maintenance cost. Manufactured as per world-class standards, these plants find wide application in different organizations and industries for largely scaled water purification. The RO System works on the principle of Reverse osmosis, also known as hyperfiltration. One of the finest techniques for treating water, reverse osmosis eliminates contaminants from water thus making it fit for drinking purpose and other commercial and industrial applications. 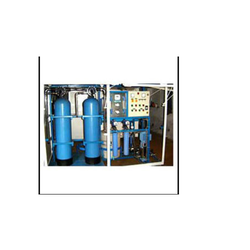 The RO system is provided with sediment pre-filter and an activated carbon filter as the membranes are degraded by chlorine, bacterial attack, manganese, hydrogen sulfide and iron. Advanced models of RO Systems are also attached with water softeners. 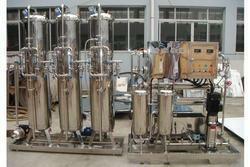 We are highly successful in manufacturing fully automated SS RO Plant. These plants are developed in regulations of rigid industrial standards and bring forth a high-speed production with minimal human intervention. The plant is a result of years of research and innovation to cater the complex market needs without compromising on the cost part.